Have you ever dreamed of the most amazing frog costume for Halloween? 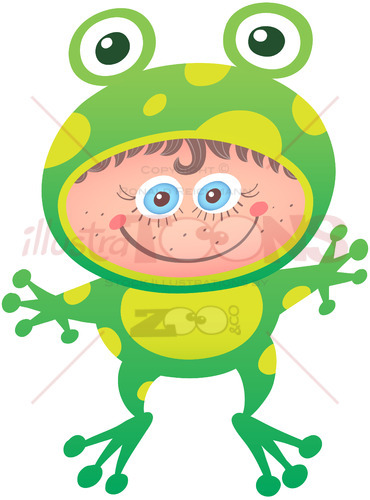 Little girl with cute expression, blue eyes and numerous freckles and posing animatedly while wearing a frog costume. She is smiling while proudly wearing an amazing frog costume for Halloween. 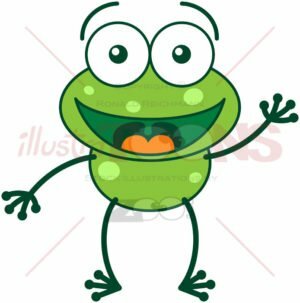 The frog costume has bulging eyes, yellow spots, long legs and the open mouth leaves space for the girl’s face.